What direction should my array be oriented? Solar sites and books say south. Can it face east or west? Are there times when an orientation other than south is better? The answer is yes. 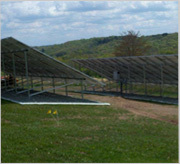 Your solar contractor should be able to discuss with you how they want to orient the array a specific direction and why. Often times a few degrees East of south will be better if there is heavy shading on the West for example. – If East or West orientation is chosen, the array needs to have very little shading or it will not qualify for state rebates. What size wire should be used? You may take this for granted and not want to get involved in system design issues but you should ask the contractor to oversize each run. It is a very inexpensive option and can improve overall system performance. If you have several inverters, it is imperative. Multi inverters systems act differently than single inverters. They need significantly larger wire size to control voltage. How do I know if my array is being optimized to give the most production? This is difficult unless you do your homework. The first thing you must do is to choose a reputable contractor who knows what they are doing and has experience. – Ask for NREL calculations. – Ask to see the shading calculations. – Ask what shading factor was used to determine ROI. – Look closely at where the contractor proposes to place the array and ask questions about trees, buildings, telephone lines, ridgelines in the distance etc. 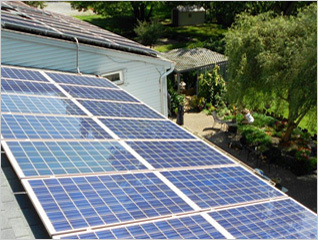 What about black panels or solar shingles? Solar works best when it is cold. The colder the better. You buy solar based on STC or laboratory conditions which are 77F. If a panels is ‐35F it will produce 25% higher than rated. However, if the panel is 200F it will drop voltage by 25% and could be low enough to no longer be able to fire the inverter. Panels that are all black, mounted so they have no ventilation or attached directly to shingle roof like solar shingles have extremely high operating temperatures. They will NOT produce as well as rated. You WILL sacrifice performance for aesthetics. Ensure panels have ample air flow under them. systems should be mounted with a few inches of space between existing shingles and bottom of panel. Ensure contractor is factoring in high operating temperatures when determining ROI of the system and not giving optimum numbers to talk you into signing. Ensure shingle warranty will not be voided if the panels are placed directly on top of shingles. Some manufacturers will not warranty them due to high temperatures.